High-quality standards, strong loan performance, efficiency and fast transactions. Learn how to lower your mortgage payment today. There are a number of ways to lower your mortgage payment. Helping you choose the most competitive loan program that meets your unique financial circumstances, using our extensive loan portfolio, is our specialty. We will start with looking at your current interest rate to see if lower rates are available. If so, we will help you determine whether you qualify for the lower rate. Did you also know that “buying a lower rate” by paying discount points is another effective method for getting an even lower interest rate? Extending your loan term is another option that may lower your mortgage payment. Perhaps an ARM (Adjustable Rate Mortgage) loan or an Interest Only (IO) loan might suit your goals. You can learn more about ARMs or Interest Only loans here. Our advisors at Solano Mortgage will help you choose from the available loan options, knowing your goal is to lower your monthly payments. We will show you how each loan program compares to the others, so you know that you are choosing the loan that makes the most sense for your financial circumstances. Then, we will guide you through the refinance process so you can get to the finish line with confidence and ease. Find an advisor and get the answers you need. Not ready to talk to us just yet? Our mortgage refinance calculator can show you an estimated breakdown of your monthly savings and total costs to refinance your mortgage. A member of our team will follow up with you shortly. Our goal is to provide 100% customer satisfaction. We do what it takes to keep our customers happy, to the best of our ability. Customer Service available 7 Days a week plus after hours for your convenience. 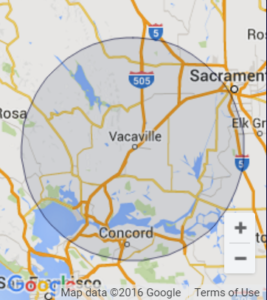 Fairfield, Vacaville, Green Valley, Cordelia, Dixon, Winters, Rio Vista, Benicia, and Suisun City.